We have a radio programme in the U.K. that has been running for decades called Desert Island Discs in which people – all famous of course – are asked to select eight records that they would like to have with them if ever they were stranded on a Desert Island. Anyway with friends the other day we were discussing which we would take and why so over he next few days /blogs these are the ones I have selected. 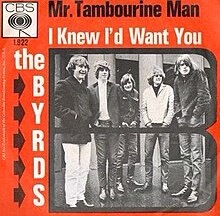 Starting with the Bob Dylan Mr Tambourine Man – for my USA readers I am so pleased he left he ‘u’ in tambourine – who in 1965 was recorded by The Byrds. It reminds me of the last summer holiday I spent with my whole family together before our eldest brother went off to serve in the Parachute Regiment.